With the new school year just around the corner it’s time to start checking off your child’s school supply list. Whether it’s the first day of school or the first day of kinder, a bag is essential and Babyology has your back (and your kid’s too) with our very helpful bags and backpacks guide. 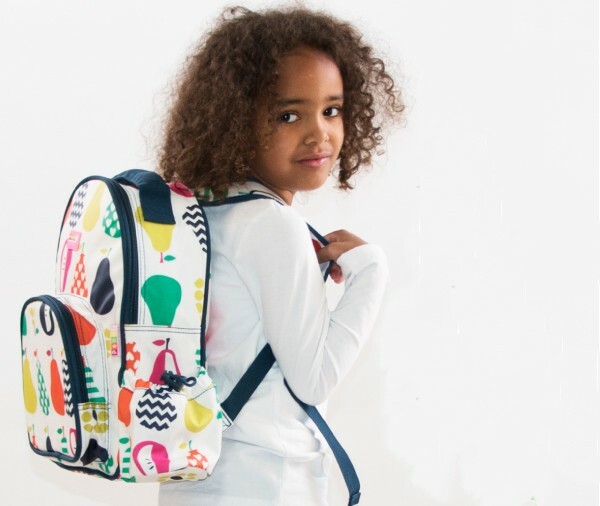 The last thing you want for your toddler is a big, bulky backpack, that’s why we just had to include Skip Hop’s popular and very adorable Zoo little kid backpacks (pictured above) in a myriad of cute animal designs. 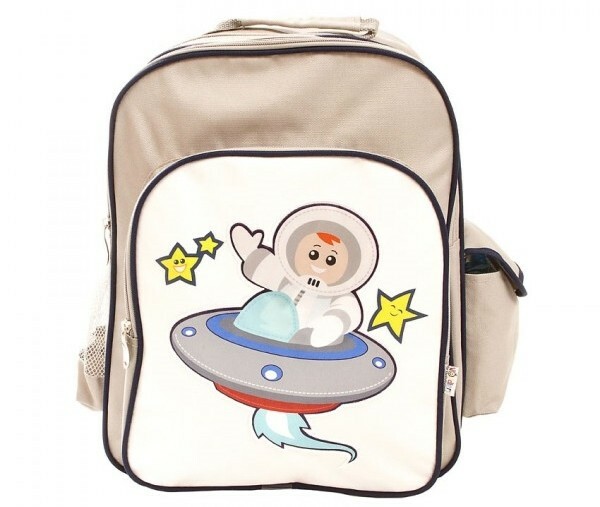 Send your little one off to preschool with a backpack that’s sized just right for them. Straps are padded and adjustable to be gentle on little shoulders. Find them at Toys R Us for a bargain $23.99. 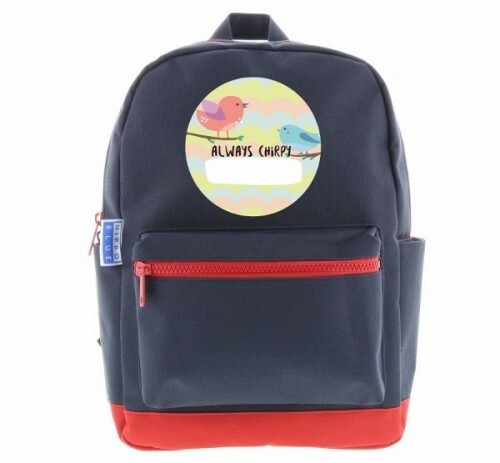 If you have a child, young or old, who adores customised items then they will love these personalised backpacks from Hippo Blue. Who wouldn’t love a bag with their name on it? Simply choose a design and font they like for their name to make it their own. 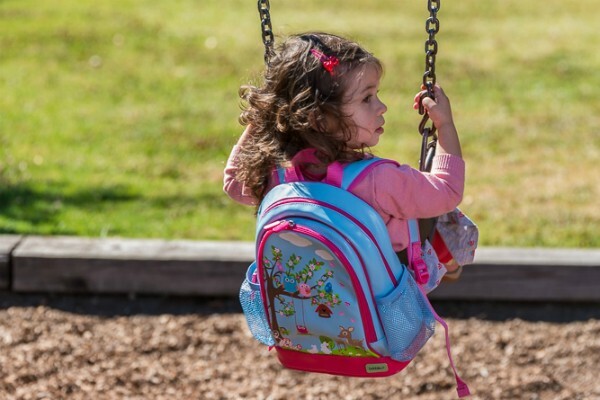 Perfect for school, daycare or kindy and available in both pink and blue, the bags are equipped with handy side pockets and plenty of room for everything else. You can pick one up for $42 from Hippo Blue. Easily pick your child out in the crowded schoolyard with a personalised backpack from the Stuck On You Gelati collection. 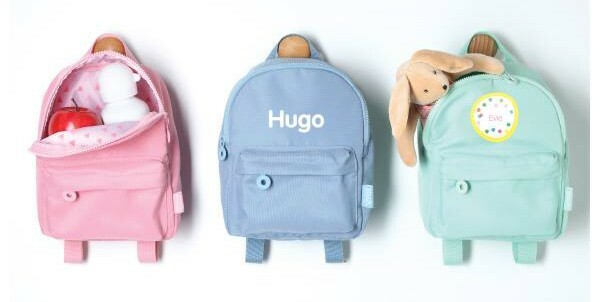 The backpacks come in three gorgeous colours – blue, mint and pink – and two sizes – small (shown above and perfect for the preschool set) or large, for primary kids. Priced at $39.95 for mini or $59.95 large and available online directly from Stuck On You. Bobble Art’s adventurous backpacks are made from durable materials with an easy to clean lining to survive the wear and tear of everyday use. The designs are especially appealing to younger children and your own boy or girl is sure to find a favourite. Priced from $39.95, you can find them over at Bobble Art. Urban Junk make full-size and mini backpacks with just the right amount of street cred to keep kids happy about putting away their scooters and electronics and heading back through the school gates. They’re priced from $39.95 as well. Looking for something for the tween in your life? Billabong’s Juggernaught 29L backpack is made from heavy duty polyester which is exactly what they need with everything they have to cart to and from school. The bag is equipped with both a laptop and stationary compartment as well as a wet and dry compartment and includes a lunchbox and detachable pencil case. It’s $59.99 at Surfstitch. The classic Mini Mi-Pac combines fashion with durability and function from only $37. Perfect for young children heading off to daycare or kindergarten, or for older kids wanting to tote their stuff around town, it comes in sixteen brilliant designs including delicious dots, denim tie-dye and leopard print. 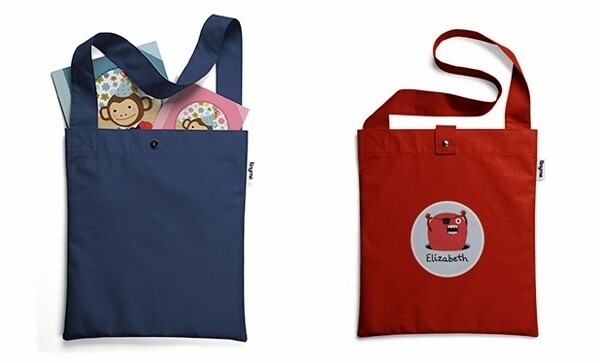 Bixbee has a bag for every age, from preschoolers to tweens. 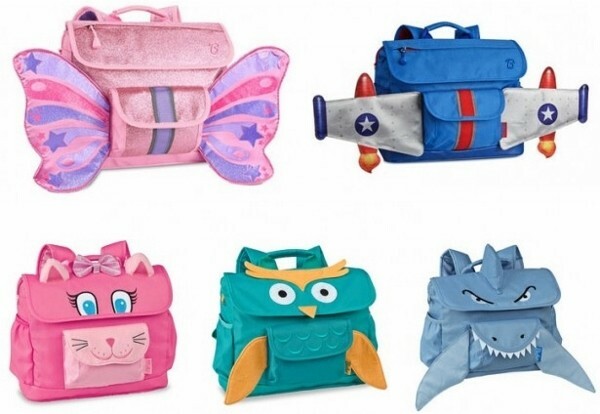 My eyes (and my four-year-old’s) just couldn’t pass their Sparkalicious Butterflyer small backpack for $59.95, available in pink or purple and ideal for three to five-year-olds. 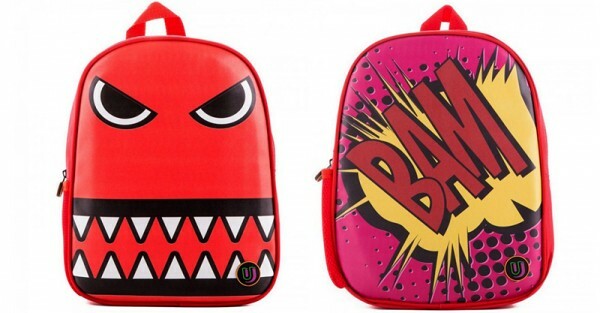 If you’re catering to an older child then their variety of signature backpacks are certainly worth a look. Find them at Silly Milly Moo. Don’t forget to include a library bag. With plenty of room for all their favourite books, this super cute yet durable library bag from Tiny Me comes in pink, red and blue. There’s an option to personalise it with your child’s name so that they can easily find it in the library box. Available directly from Tiny Me for $30. Woddlers have a bag that is ideal for any toddler, whether they are off to daycare or just out and about with mum or dad for the day. It’s small yet has enough room for all their daycare items. There are six different designs to choose from. The bags are priced at $39.95 and can be bought directly from Woddlers. 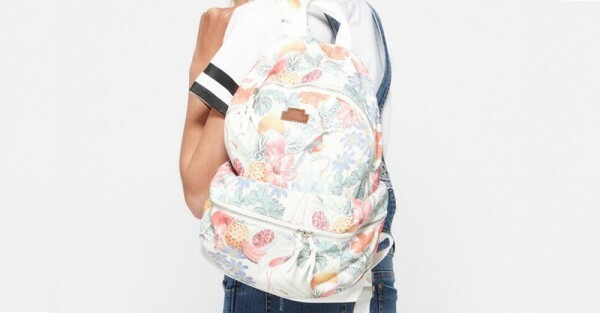 The extremely stylish bags and back packs from Pavement will be loved by any hip gal out there, especially the girly-but-not-too-girly Tropical backpack that’s perfect for any school excursion. The print and colours are absolutely gorgeous and very fashionable. It’s $34.95 from Pavement. To wrap things up we leave you with some seriously gorgeous bags from Penny Scallan Design. They have bags to accommodate your big kids as well as your preschoolers. Easy on the eye and designed to last, they’re made from cotton canvas, lined with polyester and PVC coated to wipe clean. The larger bags will set you back $69.95 and the smaller bags $59.95, from Penny Scallan.